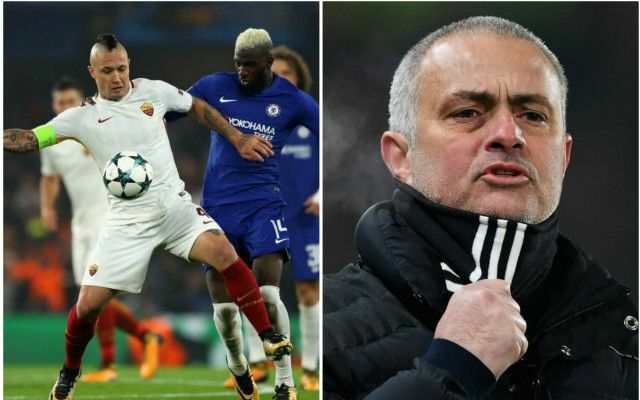 Manchester United and Chelsea both look set to miss out on the transfer of Roma midfielder Radja Nainggolan, who looks set to be the subject of a bid from the Chinese Super League. The Belgium international is one of Europe’s top defensive midfield players, and could be a dream signing for any top Premier League club after his fine form in Serie A. Still, Nainggolan may now get the chance to chase the money and become the latest big name to move to China, with Guangzhou Evergrande interested in him. The wealthy Chinese Super League side could now be prepared to pay around £30million to beat United and Chelsea to Nainggolan’s signature, according to talkSPORT. It would be a shame to see such a top player leave European football, but one feels perhaps that United and Chelsea have missed their chance to lure him to England. Both clubs were linked with the 29-year-old this summer and last, but a deal never came to fruition. Fans will be hoping for more positive Man Utd transfer news as January goes on, with various links to big names such as Thomas Lemar and Alex Sandro.